I am going to tell you a cute story. Something that is very powerful that you can use on a daily basis to create what you desire. You are more powerful than you can imagine in your wildest dreams. You have the power to create your easy life and fun. Feelings create everything, so if we want something to go our way, we need to feel good. Now, when you understand that I am going to tell you an adorable story. My client has a three year old son. She wanted him to go to the closet and take out his shoes and bring them to her, so she could put them on for him. The little boy went to the closet and took out his old shoes that were too small for him. My client asked him to put them back and take out another pair that were the right size. The little boy sat on the floor and tried to put his on small shoes. My client repeated the request, but her son was determined to fit his feet in the old shoes. As this was going on my client realized that if she wanted to create the desired scenario she needed to become calm. She looked for something that could aid her. She noticed a little Teddy Bear near by and she grabbed him and hugged him. She felt love for the little toy. When we feel love we automatically become calm. As she was hugging the Teddy Bear she could feel the calmness returning back to her. She felt good. She put the Teddy Bear back and she looked at her son. He was putting the small shoes back in the closet. Then, he took the new shoes out, came to her and asked her to put them on. She giggled. She was so aware that she created that. It was a moment of feeling how awesome that was combined with the realization of how things work and how powerful we are. She knew that if she wanted to create the desired outcome all she needed was to make sure that she felt good. The handy Teddy Bear did the trick. It is a very cute story that describes how things really work in this world. We create everything by the way we feel. So, if we have a situation that we would like to change we need to make sure that we become calm first. Only when we are calm we can create what we want. Feeling of love create calmness. When we feel love we automatically become calm. When we hug something, it is so much easier and faster to feel love. It can be anything. We can hug our pet, another person…or we can have a handy Teddy Bear that will do the trick. If you just remember this story and apply the principal, you will create things one after another going your way. It works the same way for every aspect of our lives. Calmness is the key to creating desired outcomes. Love creates calmness. 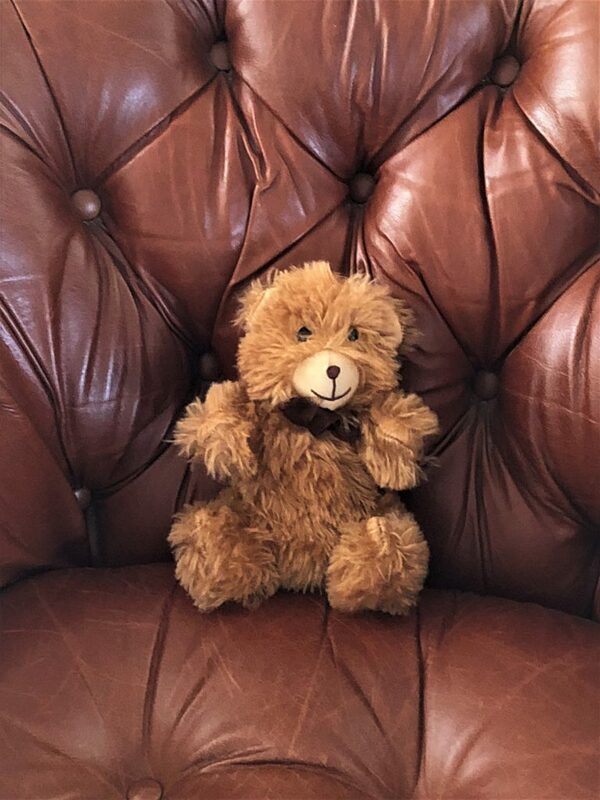 So, feel lots of love and…maybe have a handy Teddy Bear… ?